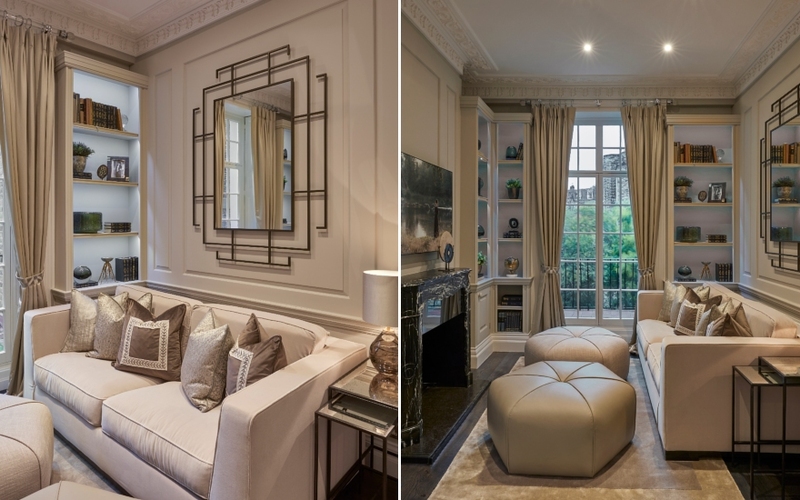 LuxDeco’s not just become known as the go-to for luxury product in the home, but for its specialist interior design team’s ability to remodel, reimagine and recapture the sophistication and splendour that your property deserves. 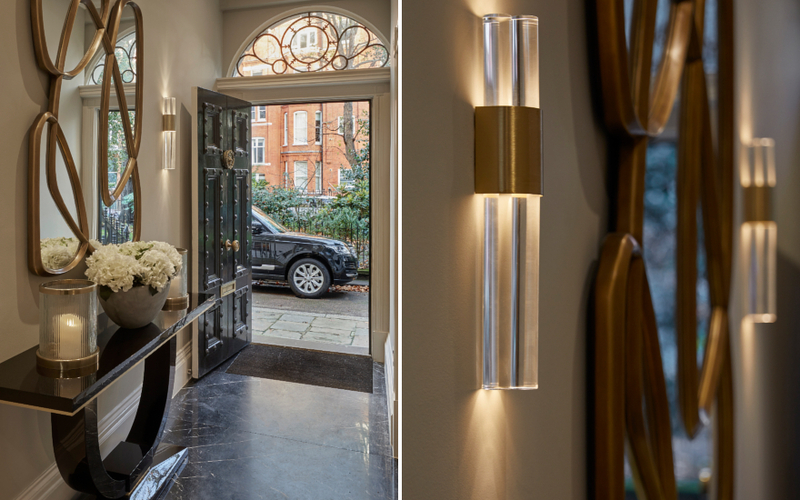 Here, we hear from Interiors Director, Linda Holmes, as she takes us behind the scenes at one of their latest renovation projects – an expansive, listed Georgian townhouse between London’s Knightsbridge and South Kensington. “It was in fact a very modern way of approach. Our client contacted us via Instagram, having seen our Tower Bridge project, and hoped to achieve a similar design perspective for his own home. He wished to move into his property without too much of a delay and so we suggested meeting in advance of the completion date to set the proverbial wheels in motion. 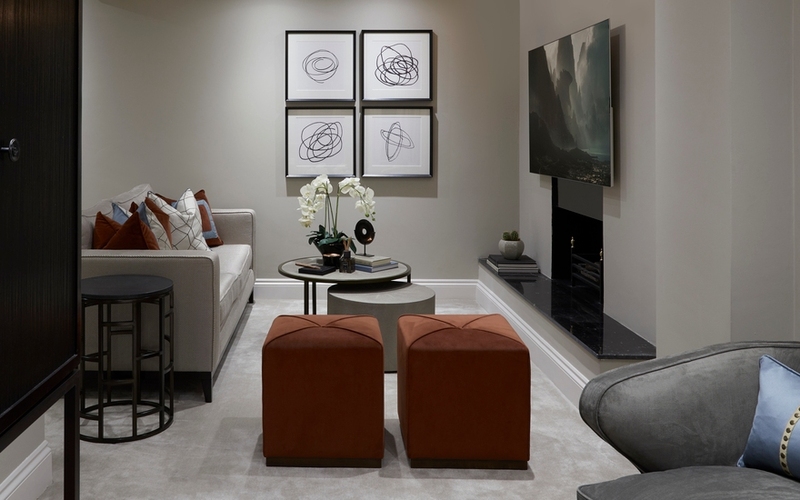 In our briefing process, we’re looking to ascertain a number of lifestyle criteria, such as whether it’s their primary home, and what is the most important activity they intend to happen in each room? But also, to answer any style queries, including thoughts on their colour and material preferences. This helps us to build a vision of not simply how their home will look, but how it needs to behave to accommodate their lifestyle and personality. 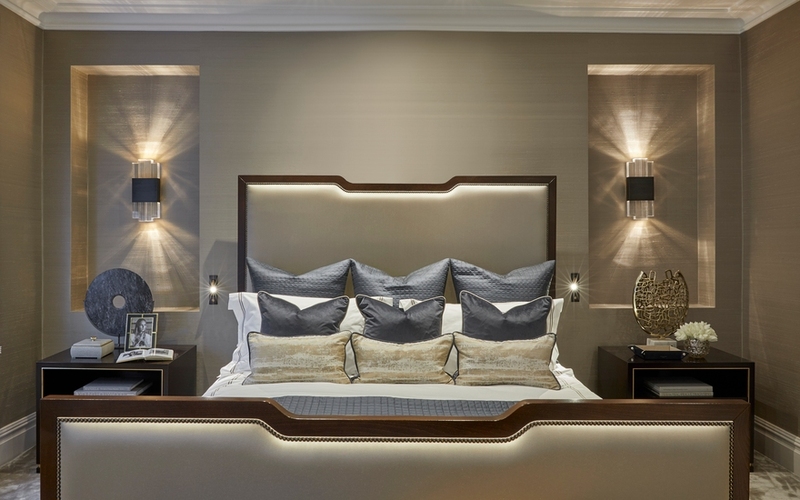 “In this instance, our client spoke of wanting a high-spec, high-gloss aesthetic with luxury finishes where he could relax and entertain his friends. 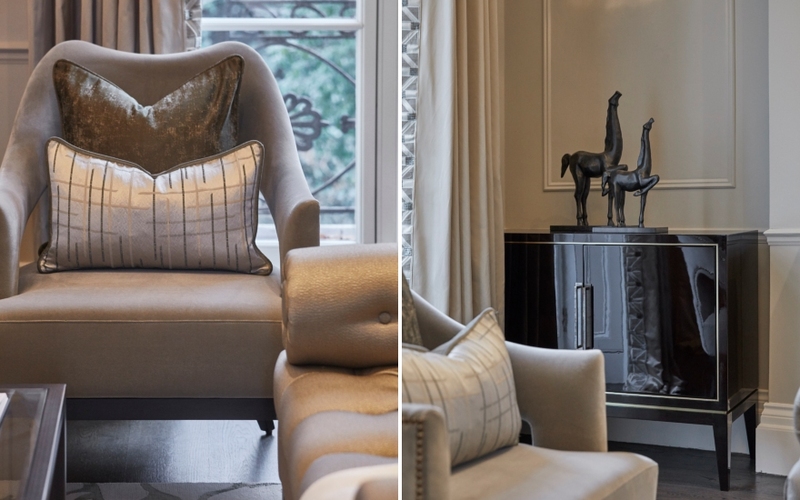 We therefore designed a bespoke cream sofa with studded armchairs for additional seating to promise the functional aspect for the sitting room. 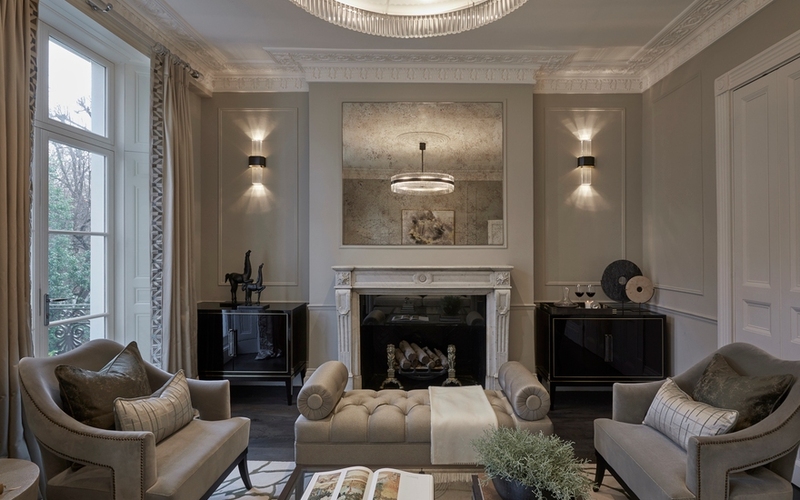 The rest of the scheme boasts sultry bronze-framed coffee tables, a statement chandelier, hand-made curtains with Samuel & Sons trimmings, and yet another bespoke commission, this time of a beautifully glossy sideboard with brass inlay detailing. 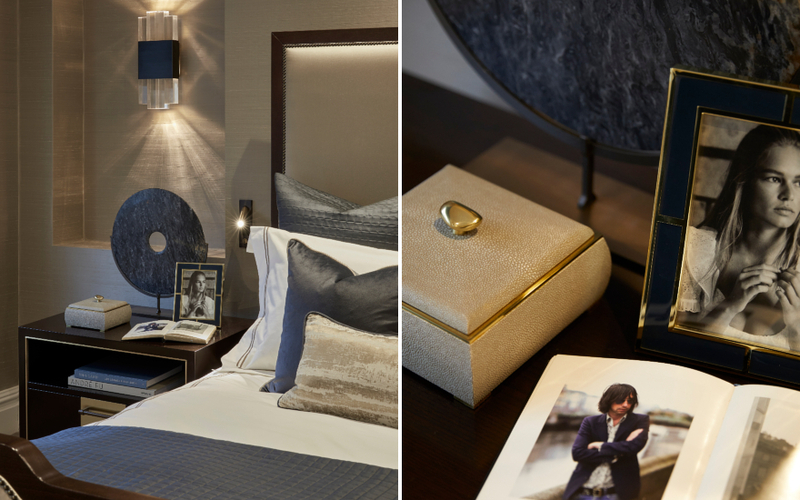 “Notably, he specified a luxurious yet masculine bedroom and this is where we began. We defined a colour palette of tonal greys and dark blue which imbue a moody, seductive ambience, furthered by our use of lustrous silk wallpaper. Custom-made cabinetry for either side of the bed with a coordinating chest of drawers and bespoke wardrobes in the annexe add yet another element of luxury. 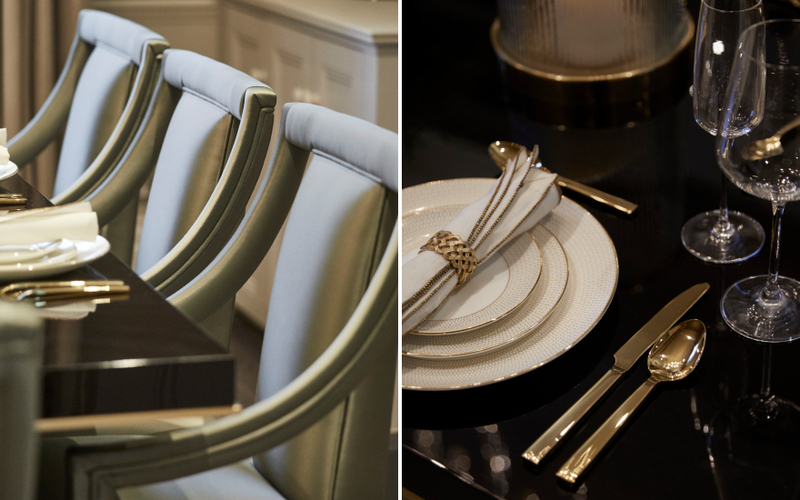 Much like a made-to-measure item of clothing, bespoke furniture adds that same feeling of richness and exclusivity to a home. 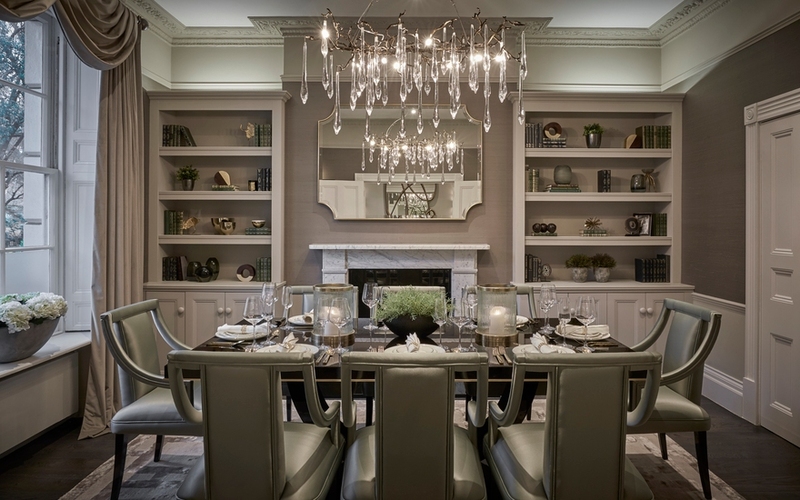 “The other rooms in the property encompassed the dining room where we continued the use of silk wallpaper to lend the room grandeur and finesse. Through the selection of furniture and finishes however, it carries a different, but complementary, energy to that of the bedroom. The decision to alter the traditional swag and tails curtain treatment by removing the tails allowed us to celebrate the grand nature of the dining room without it feeling too traditional. The period beauty of the sash windows were masked and we wanted to let them shine brightly in the newly-decorated space.